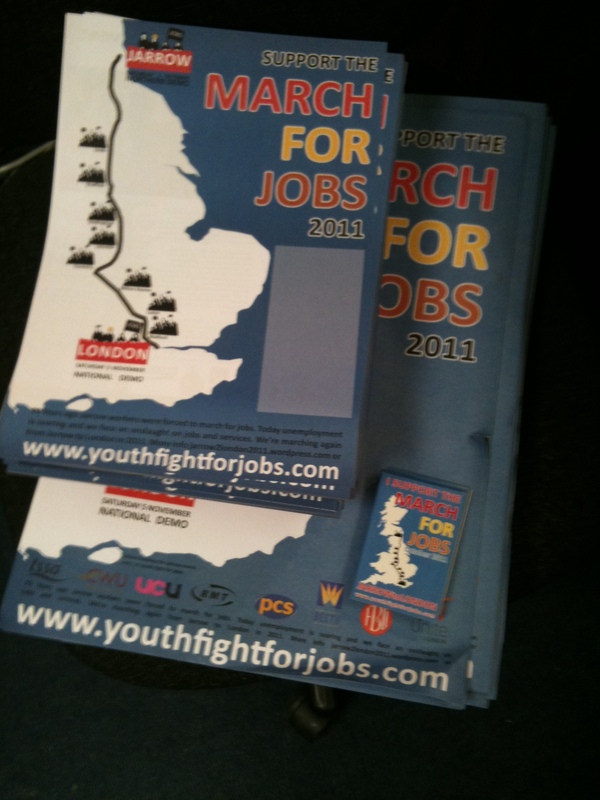 After running out of previous material, we’ve now got new posters, leaflets and lots of stickers! Now with the 6 union logos backing the march, and less typos 😉 ! To order some, please contact us on the usual details. If you can afford a donation to help us pay for the costs of these, you can donate online here.